Q: Bruce, I understand your firm had an atypical beginning. Tell me how and why Private Capital Management, Inc. (PCM) was formed. A: We were formed in 1986 by a "Forbes 400" family. Over the years, the family had their financial assets managed through many of the different "traditional" venues (money center bank trust department, independent money management firms, venture capital partnerships, etc.). At the end of the day, the family was dissatisfied with both the investment results and the process with which their assets were being managed. The family concluded that their best interests would be served by forming an internal money management operation where they could exercise control over the investment management style, the personnel, and the analytic process. In forming the firm, my mandate was to build an optimal structure for managing the family's capital with an emphasis on capital preservation and absolute return. Q: What do you mean when you say absolute return? A: It was the family's experience that the investment management industry quite often focused on relative returns and relative valuations. For example, if the S&P 500 is down 25% and a manager is down 15%, he has had relatively good performance. However, his clients have lost 15% of their capital. Our clients believe that any successful management strategy needs to be centered first around capital preservation. They have worked long and hard to build wealth and truly view their capital as an "irreplaceable commodity". Further, relative return to us implies almost an acceptance or tolerance of mediocrity. If your goal is merely to meet or exceed average returns, then it is clearly an extraneous exercise to spend the time and energy required to build an internal capability. There are no shortages of average or above average shops out there. Rather, our founding family believed it possible to set an absolute return standard that would both be a superior long term objective for growth of their capital as well as one that made the formation of Private Capital Management, Inc. a worthwhile undertaking. Q: What was the return/objective that they set for you? A: Our goal at Private Capital Management, Inc. is to research and invest in a portfolio of businesses that will position our clients to double their assets every five years. Obviously, this implies compounding money at approximately 15% per year. Thus, we attempt not only to preserve but also prudently expand our client's wealth. Q: Given that mandate, what were your considerations in building Private Capital Management Inc.? A: First of all, my background as a CPA and my working experience in mergers and acquisitions, business valuations and restructuring gives me a rather different perspective on investment management. In my view, Wall Street spends all too much time on short term financial prognostication relating to quarterly earnings per share and not enough time trying to determine the long-term fundamental value of the underlying business enterprise. Thus, I decided that the strength of our firm was going to be the ability to independently research and determine the intrinsic value of a business. Q: Are you saying, then, that you don't have much use for Wall Street research? A: Absolutely. We find most Wall Street research to be short-term oriented and superficial. In addition, I will not put my clients' capital at risk unless I have absolute confidence that we accurately understand the investment situation. The only way that I can achieve that comfort level, is to be directly involved in the analytic process. Q: If you don't rely on Wall Street, how do you develop and implement investment ideas that meet your value criteria? A: That's a two part question. First, I felt it necessary to build a team of seasoned analysts who share a value philosophy but bring additional skills and different perspectives to the process. My two research partners, Gregg Powers and Michael Seaman, have collectively more than 35 years of experience analyzing and investing in undervalued situations. Yet, they also bring different industry expertise and analytic skills that supplement my background. If we perform our research work properly, we capture and create an information advantage. To complement and protect this information advantage, I took the additional step of creating an internal proprietary trading capability. Q: Give us some additional insight into your research process. A: Our approach is equivalent to acquisition due diligence. We view a stock investment the same way an entrepreneur views a business acquisition. The essence of this approach is discretionary cash flow analysis. Simply put, a business enterprise's value is directly related to its ability to produce cash for its owners. Q: Why discretionary cash flow? A: The cash flow cut, while somewhat arbitrary, is designed to differentiate between reported book income and true cash earnings. We understand the subjective nature of some of the situations that go into making reported earnings. Cash can be used to buy back stock, retire debt, buy new businesses-we really want to determine the cash flow generation ability of a business. Q: How do you determine discretionary cash flow? A: To be perfectly honest, this is as much an art as it is a science. Obviously some industries, typified by the manufacturing sector, require substantial and sustained capital reinvestment. Others, including computer software, media, publishing, and financial services for example, require far less investment in physical plant and equipment. Consequently, as a starting point, we are strongly partial to businesses that have structurally superior free cash flow characteristics. After winnowing the investment universe in this fashion, it is necessary to intimately examine a business's economic opportunities in conjunction with its capital requirements, and to differentiate between mandatory and discretionary investment. For example, a rapidly growing computer software company will typically require cash to fund receivable growth. As long as such working capital requirements grow in proportion to the business, we would view this an appropriate discretionary investment. Conversely, if a textile company continuously replaces its capital equipment every five years in order to remain competitive, this capital reinvestment is not discretionary and has direct implications for the business's underlying value. Simply put, we recognize that some businesses have superior economic characteristics, and that these companies can generate substantial free cash flow and are capable of internally financing growth. Coincidentally, we often find that as a byproduct, such companies are generally superior from a financial structure standpoint. However, it is important to underline the significance of qualitative factors beyond financial statistics. A: To put it simply, great management creates opportunities and knows how to win, while bad management is particularly adept at finding new ways to lose. Consequently, an evaluation of management's competence, integrity, and concern for the creation and enhancement of shareholder value, is integral to the analytic process. We will not invest in situations where we feel that we don't have goal congruency with management. Additionally. we will not invest in a company that has what we perceive to be inadequate management, regardless of how statistically attractive the investment may be. Q: How do you make an assessment of management? A: Before we make a substantive commitment of our clients' capital, we will meet the management personally at the company's premises. Our objective in meeting with senior management is not to be educated about the business per se. Before the meeting we will have already invested substantial time and effort learning about the most important opportunities and challenges. Therefore, if we have done our job, we will not be asking questions which we do not already know the answers to. As a consequence, we can critically evaluate the candor and honesty of senior management. This insight is particularly important when something does not go according to plan, and the business produces disappointing results. We like to know that management will candidly assess the issues, and answer our questions to the best of their ability, as opposed to giving us public relations fluff. Style is important. For example, I have a visceral dislike for gratuitously expensive corporate headquarters. Why should the shareholders' money be invested in such a non-earning asset? Said another way, I do not want to invest with a management team that does not spend shareholder capital in the same fashion that they would spend their own money. Q: Does your analysis conclude with the management visit? A: No, that's just the starting point. An entrepreneur would never buy a company solely as a result of a satisfactory meeting with management. It's necessary to assess management's depth, to spend some time with middle managers and when possible, visit the competitors, suppliers and customers. Q: That sounds like a lot of work. Realistically how many companies can you follow in this detail? A: At PCM, a typical mature client portfolio contains approximately 25 investments. Given the depth of our research and the nature of a disciplined value oriented approach, portfolio turnover is relatively low averaging under 30% per year. Thus, it is necessary for our research effort to identify 5-10 outstanding investment ideas a year. To do that, we will screen thousands of potential ideas, do preliminary work and review the financial statements on several hundred and likely visit more than 100 companies per year. As we continue to cull, we will generally end up doing a full blown due diligence on roughly one-third of the companies we visit. This ultimately distills down to our target at generating the 5-10 new ideas. It has been our experience that this is both intellectually enjoyable and a realistic number. Q: Do you concentrate on specific industries or a certain size company? A: Remember, my background and mind-set is that of a business person rather than one of a traditional money manager. Likewise, my research associates also have certain specific industry and operating experience. We believe this business experience makes us better investors and that it would be foolish for us not to use this experience to our clients' advantage. We believe that we do some of our best work in the industries with which we are most familiar. These would include financial services, media, software, real estate, health care, retail and natural resources. These industries give us a large universe of companies to choose from and to perform our initial screening on. We are in the business of identifying intrinsically undervalued companies with favorable cash flow characteristics, in industries that we understand. We don't have a size or capitalization restriction, mandate or predisposition. However, it has been our practical experience that the stock market generally is more inefficient in properly valuing companies with small and middle capitalization equity market valuations. Unlike larger capitalization securities, which often have extensive Wall Street analytical coverage, the limited research available for small and middle capitalization securities results in an information advantage to those who can afford to conduct an intensive, in-depth, due diligence effort. We have extensive experience in this smaller and mid-size company arena and devote a significant amount of energy to it. What's important to note though, is that the valuations and opportunities are what attracted us, not specifically the size of the company. Q: This sounds like a very bottom-up approach. Is that a fair description? A: Yes it is. We do not have a pre-determined asset allocation model to which we manage. Further, we don't spend a lot of our time or energy trying to predict the unpredictable. When we can find ideas that meet our value criteria, selling at prices where we would like to own the whole company, we will buy those stocks. When we have difficulty finding ideas, we sit on our hands and don't buy stocks. So as it relates to a market allocation, we're really idea-driven rather than top-down macroeconomic analytically driven. While we consider the economic backdrop, we don't disdain what is going on in the marketplace. Q: With this type of investment approach, is there a point where the firm gets too large and performance starts to suffer? A: That's a terrific question. Remember our largest client is also the founding family and current owner of Private Capital Management, Inc. Their assets represent about 30% of our total assets under management. You remember that the reason that they asked me to build this firm initially was performance related. Their objectives haven't changed over the years. Their primary consideration will always be to preserve the integrity of the investment process. The return on the capital that we manage for the family will always be more important to them than the next incremental dollar in outside money that we attract. We think that this is a benefit to all of our clients. We will not allow our process to be compromised due to asset size. At the point that we cannot deploy our clients' capital in companies that meet our criteria, due to asset size or liquidity needs, we will stop accepting additional new client relationships. Q: Among those lines, what prompted the family to allow outside investors to invest alongside them through PCM? A: The answer to that question is probably twofold. First, I think relates to the pride of ownership. Remember, we were formed because of a general dissatisfaction with the available alternatives. The investment objectives and experiences of our founders are not unlike those of many wealthy individuals and families. Our process and performance gave them the confidence to offer our services selectively to others who share similar objectives. Second, it's also good business. By allowing us to accept outside investors they are also able to defray the expense of building a money management organization. This is a business in which the true assets of the business go home on the elevator each night. In order to attract and keep talented professionals, you have to compensate them well. The family opted to give me and my partners an interest in the profits of the firm, rather than to write larger checks themselves. They're content to do so as long as the process and performance are not compromised by the growth in outside client assets. Q: How large is the staff of Private Capital Management, Inc.? A: As I mentioned earlier, I have two partners, Gregg Powers and Mike Seaman, who assist me in the research, analysis and portfolio management. 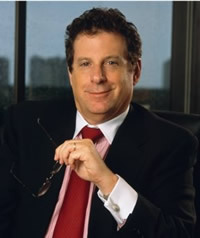 The fourth partner in the firm, George Hamel, is responsible for client service, development and trading. We are supported by an able group of eight others for a total firm size of 12. Within the firm there are five MBA's, two CPA's, one CFA, three NASD principals and five registered representatives. We treat our clients' money as if it were our own and endeavor to provide a high level of performance to our clients in all aspects. Q: Do you have a dollar minimum for a new client relationship? A: Yes. We have a one million dollar minimum for an individually managed account. We also have a commingled product with a $400,000 minimum for accredited investors that is slightly different from an investment strategy standpoint. We currently manage approximately $400,000,000 for 80 clients in 21 states. Q: Tell me about the "commingled" investment you mentioned. A: In September of 1994 we formed The Entrepreneurial Value Fund, L.P. (EVF)~ which is a private placement limited partnership. We basically formed the fund for two unrelated reasons. Over the years, we have had numerous requests from our existing clients for an investment utilizing our intensive analytic process, that offers above market return potential for that portion of their financial assets allocated for higher returning investment. In other words, some clients wanted a "high octane" PCM for a portion of their funds. At the same time through our screening process, we were finding small capitalization companies (market valuations between 25 and 500 million) inefficiently priced which we believe contained the opportunity to achieve significantly above market returns. Given the asset size of Private Capital Management, Inc., we were beginning to find it difficult to own a position in these smaller companies large enough to be portfolio impactive without acquiring a controlling position in the underlying Company (which we prefer not to do). By creating the EVF which has 100 units available at $400,000 per unit, we were able to offer both a "higher octane" alternative and at the same time, take advantage of the opportunities present in smaller companies. It is significant to note that the research process that goes into the security selection of the EVF is exactly the same as we perform every day. For the right situation, we think The Entrepreneurial Value Fund, L. P., is a good alternative. Q: Do you have any closing comments? A: Our investment style is not tailored to manage billions of dollars for thousands of nameless, faceless individuals. We cater to a relatively small number of successful, wealthy clients who value personal attention, capital preservation, and investment performance in equal proportion. To this end, since our formation in 1986, we have outperformed the S&P 500 by more than 50% per year, while exposing our client's capital to less than market volatility (as measured by standard deviation of returns). I think that these results demonstrate the logical validity of our investment.